We don’t know about you, but we think getting an X-ray is one of the most annoying medical procedures out there (holding your breath with your shirt off in front of another person is just awkward). But what if the Radiologic Technologist attending to you were as beautiful as Katrina Rose Maniago? We bet you won't ever complain. We discovered this pleasant health care professional while browsing Facebook one day. Using the hashtag #PubertyChallenge, she posted throwback images alongside newer photos of herself, many of which showed her once dorkier side. 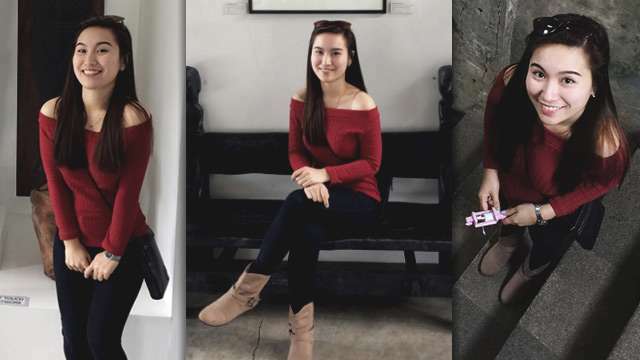 The 23-year-old beauty graduated from Holy Angel University in Pampanga, her hometown, and is now working at St. Catherine Alexandria Foundation and Medical Center.